Cooler air will return to the Finger Lakes, with temperatures very slowly falling throughout the day Monday. Click image to enlarge. 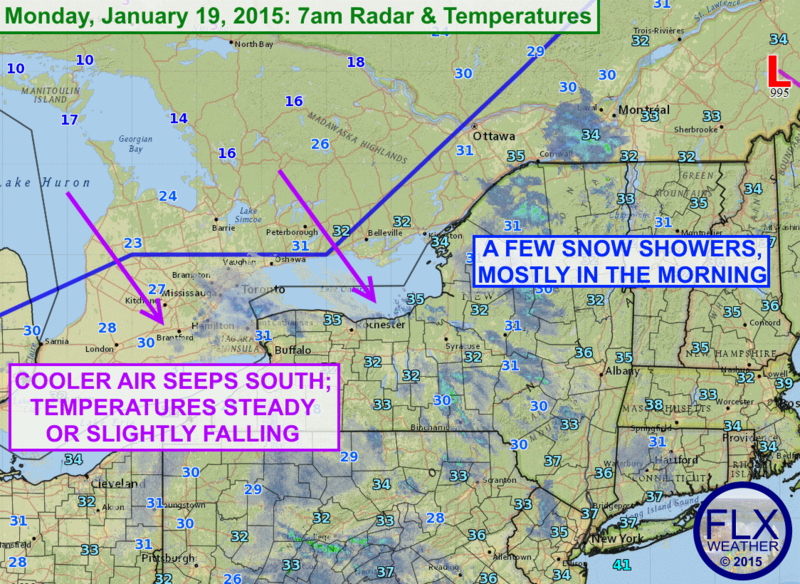 Cold air wrapping around low pressure over New England will seep into the Finger Lakes today. Morning temperatures are mostly in the low 30s, but these temperatures will most likely not rise during the day. If anything, a slight drop in temperatures is likely, with upper 20s possible this afternoon. Some snow showers are departing the region as this colder air approaches. 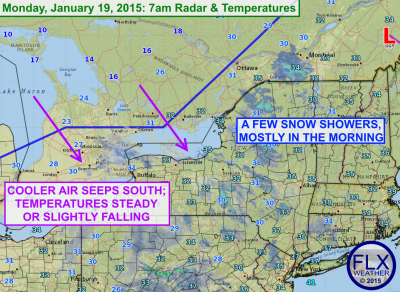 Some lingering lake effect flurries may also form, especially northeast of the Finger Lakes towards Oneida Lake. Outside of any light flurries, it will likely remain fairly cloudy today. Tuesday looks sunnier with morning lows in the teens and highs in the mid 20s.